Dissociating from the past can often be difficult; finding solJace in the present can be even harder. Nostalgic longing can be rampant and consuming, wholly engulfing one’s head and heart. 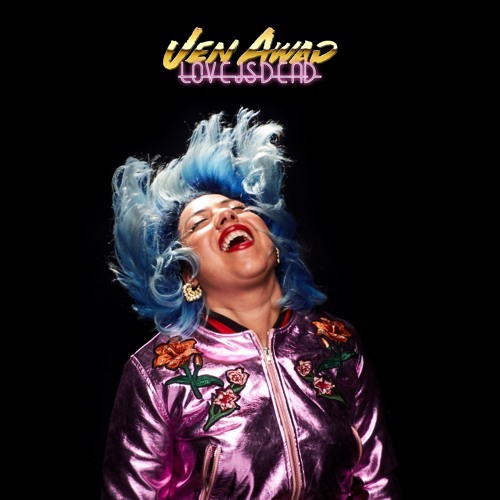 In her newest single “Love Is Dead,” Los Angeles-based songstress Jen Awad fully relates to these sentiments. “Love Is Dead” is a gritty, melancholic ode to the past, painted with soulful vocals and pining instrumentation. “Love Is Dead” symphonically floats through heartbreak, as Awad croons that there is “only so much [she] can take.” Awad simply hopes to find peace, attempting to remedy the situation by outright denouncing love all together. Accompanied by redolent jazz instrumentation, including ripe saxophones, crystalline piano, and effervescent guitar riffs, Awad utilizes her sultry vocal tone to elicit gut-wrenching, feel-it-deep-down-in-your-soul emotions. Her heartache is a palpable feeling retching through each longing chord; she is not remiss in her pain. Awad’s sultry, reminiscent vocals only further explicate her sentiments, guiding listeners through “Love Is Dead” with fervent, affecting strain. Awad, a self-taught vocalist and multi-instrumentalist, effortlessly glides through her heart wrenching narrative, firmly grasping at one’s deepest emotions; consider the heartstrings tugged. “Ain’t nothing new, I miss loving you like some nostalgic fool,” Awad laments over jazzy piano and humming saxophone. It feels like a forced acceptance; a realization that things likely will not change back to the way that they used to be, despite endless hoping that, perhaps, it might. Awad dwells on the past, but recognizes that she cannot live there forever. In the accompanying Machete Bang Bang-directed video for “Love Is Dead,” we find Awad dressed to the nines, forlorn yet attempting to seek relief. Throughout the video, others are poignantly depicted as being slightly removed or disconnected from Awad, seldom—if at all—associating with her, save for a few moments that ultimately drive home the idea that Awad needs to move on from the past. She is alone—and she can’t change it. Hapless love happens to us all, and “Love Is Dead” delicately traverses the unique sentiment of wanting what one knows they cannot actually have. Jen Awad has been through the throes of heartache, and laments her nostalgic longing through invisible tears. “Love Is Dead” glows in its forthright proclamation of heartbreak; it is a refreshing, resonant sonic experience that grants its listeners feelings of yore that they might not have even had. Listen to and watch the video for “Love Is Dead,” exclusively on Atwood Magazine.